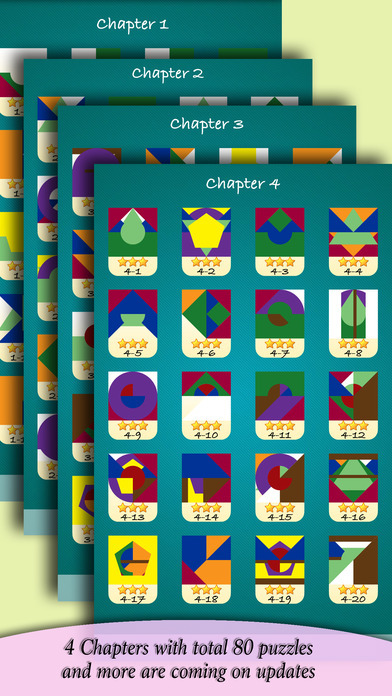 Mix & Match is an amazing puzzle game for smart people of all ages. 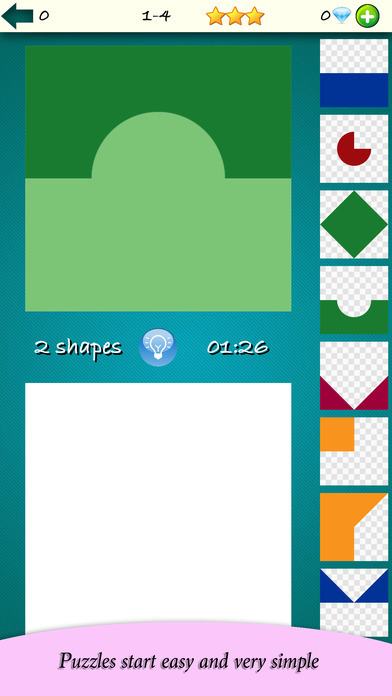 The game's concept is very easy, yet very challenging. 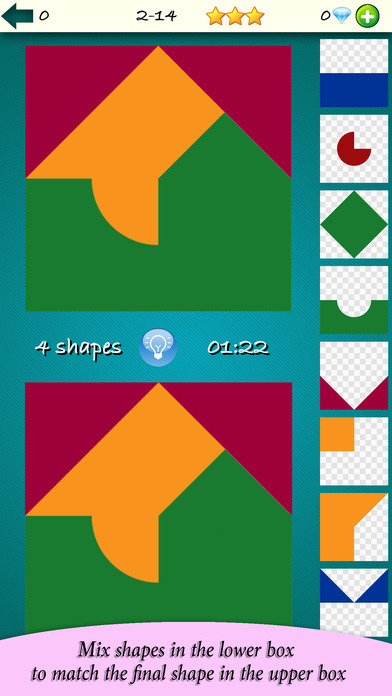 You are giving 18 colored geometrical shapes, that you have to use to solve a series of challenging puzzles. 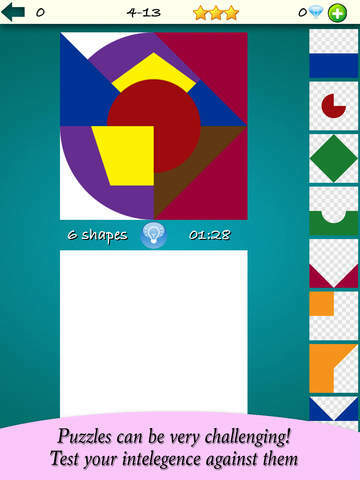 you will need to use the the right number of shapes, mix and rotate them to reach the exact composition in the challenge. 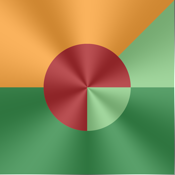 when you solve a challenge, you advance to the next one, with increasing difficulty. You will need to solve the puzzles within a limited time, the faster you solve it, the more stars you get, if time runs out, you will need to start over. Some challenges can have more than one solution, any of them is enough to advance to the next level, however you can challenge yourself and find more solutions to the same puzzle. Mix & Match has 4 chapters, each with 20 challenges, that's 80 challenges with increasing difficulty, we are sure the game will keep you entertained for long time. The game is integrated with Apple's Game Center, so you can compare your score with your family and friends, and see who is smarter. We hope that you have lots of fun with Mix & Match, but be aware that you might get addicted to it. The game is compatible with all iPhones and iPads running iOS8.0 or higher.